Family, friends and Norteno gang associates of Rogelio Serrato begin his funeral procession towards Greenfield Holy Trinity Cemetery on January 13, 2011 in Greenfield. 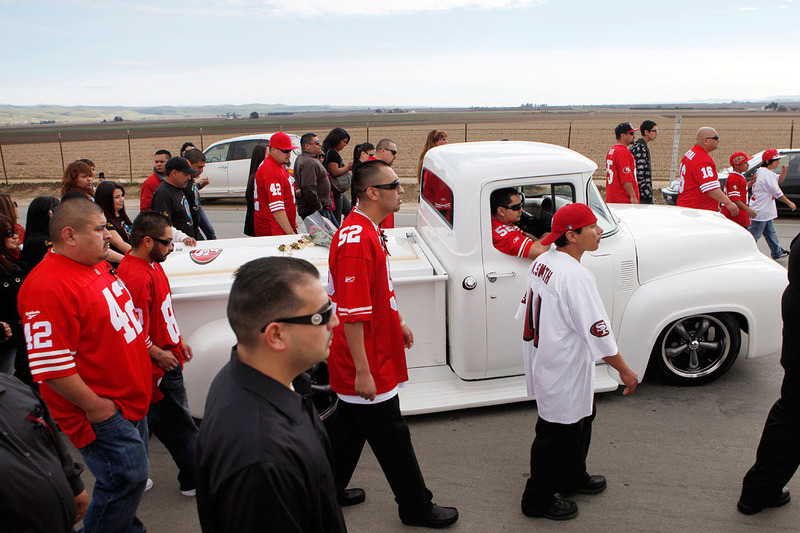 San Francisco 49ers apparel and the color red are associated with Norteno gang members, as they expressed the need to "fly their color" during the funeral. Serrato was a registered gang member and was killed during a Monterey County Sheriff's SWAT operation on January 4.